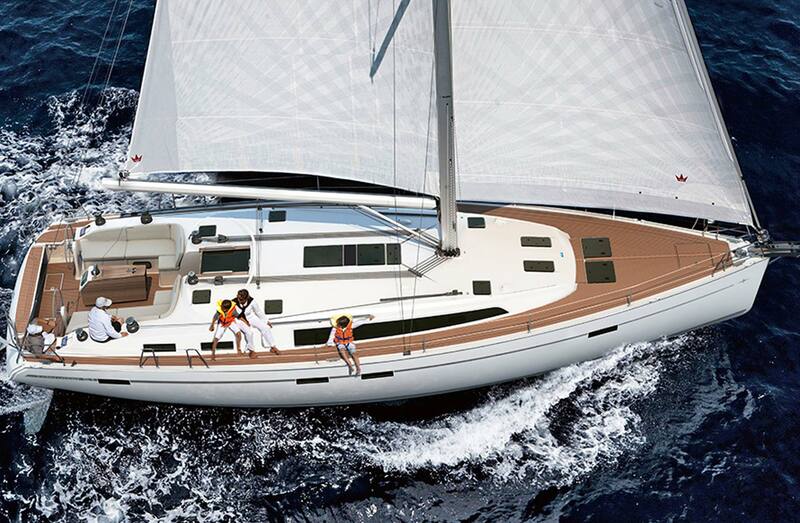 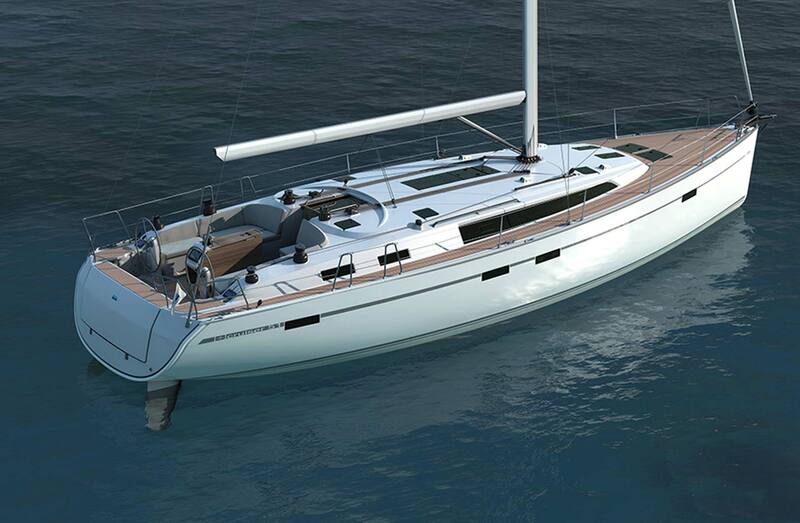 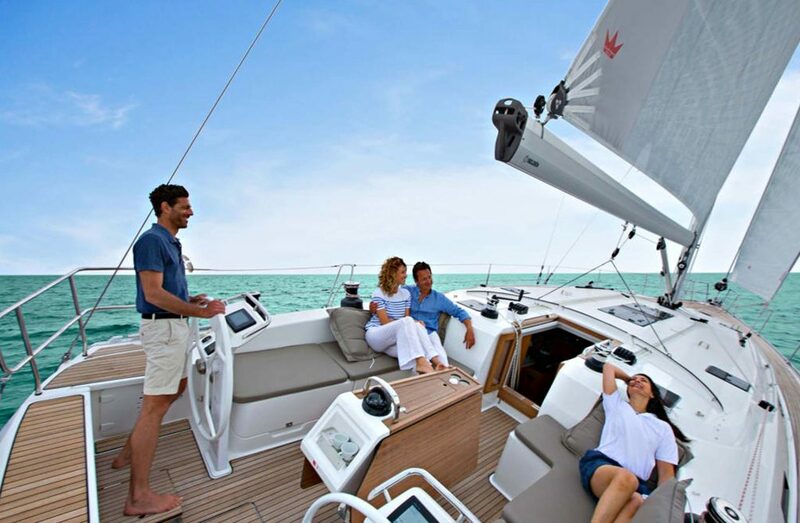 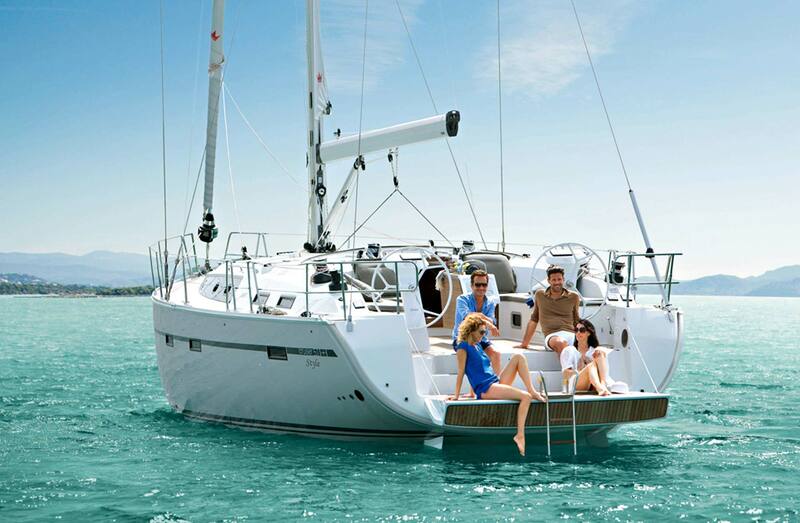 The Cruiser 51 is the is one of the largest Bavaria sailing yachts. 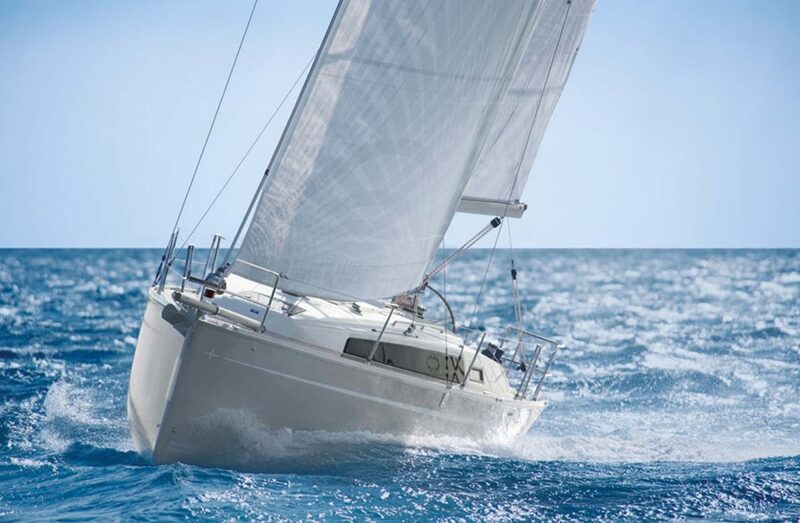 But you hardly notice this when she is sailing because is very easy to handle. 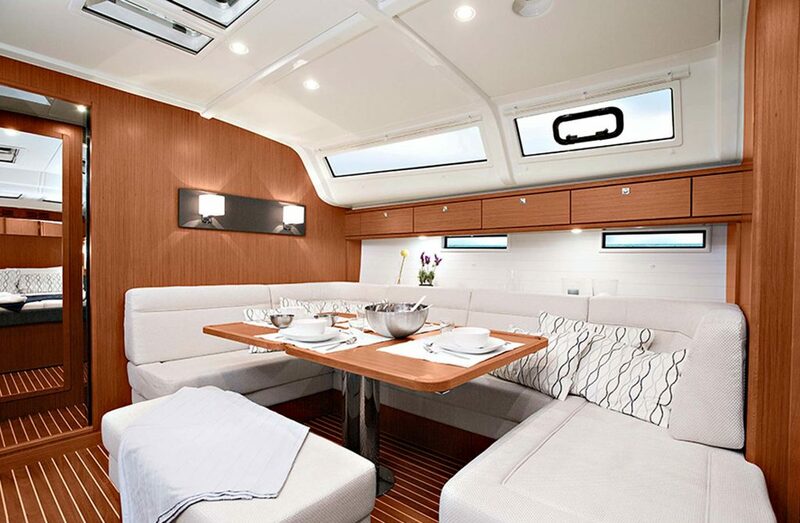 New deck layout with the Jib sheet travelers placed on top of the coach roof leaving more space along the sides decks and allowing better sheeting angles. 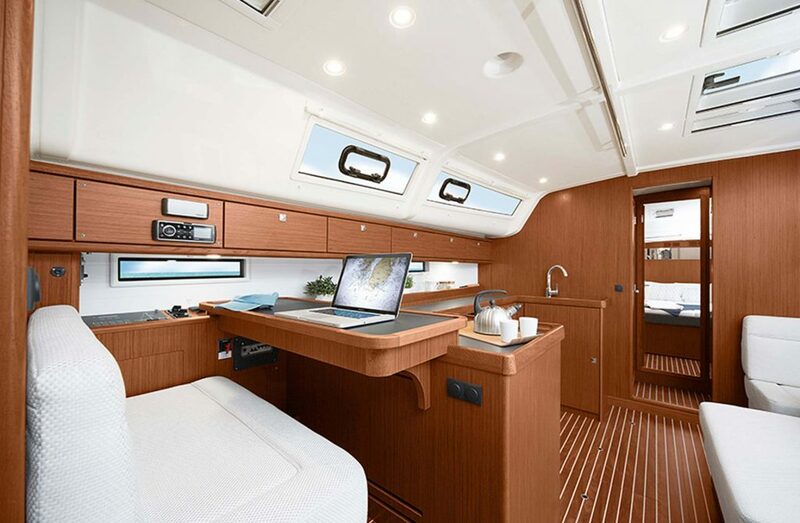 The large swimming platform is lowered using a remote control, and the foredeck includes a large hatch for spinnaker storage. 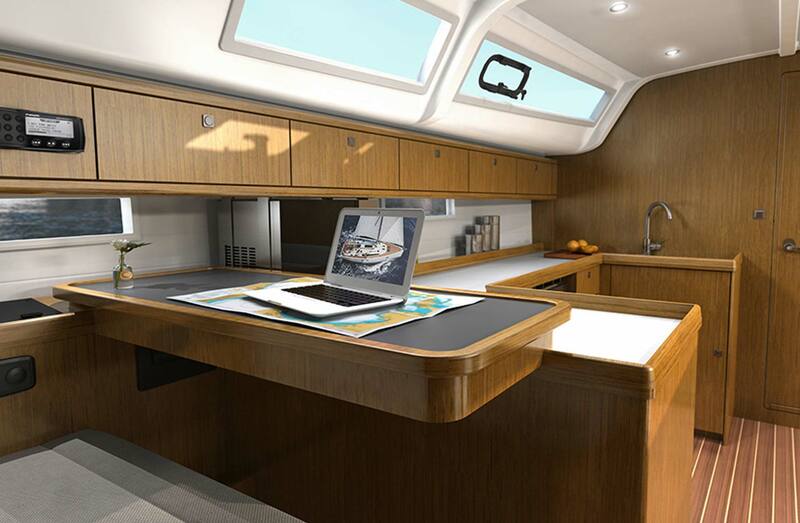 The cockpit is equipped with a large table, solidly attached to the floor, with a large storage in its middle and glass holders at its ends. Skipper is handling with twin steering wheels while sportive looking pedestals provide enough space for 8-inch screens. 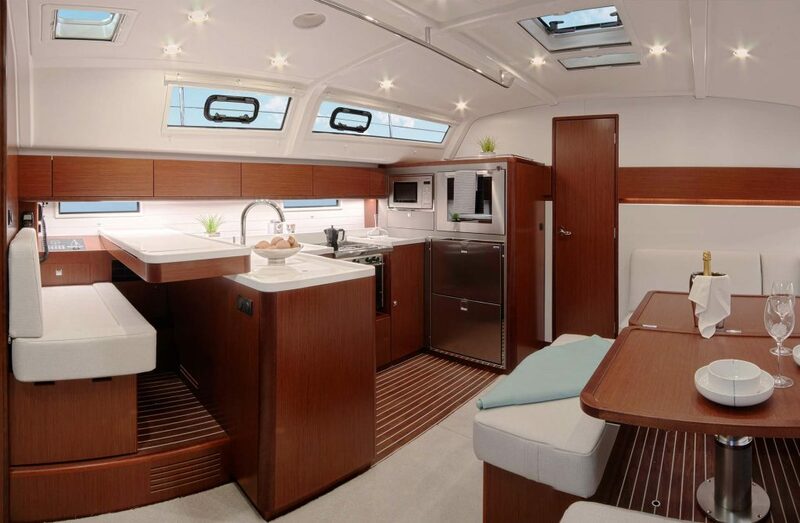 The hull was designed by renowned Bruce Farr, with construction details and technologies which resulted in higher durability and lower weight. 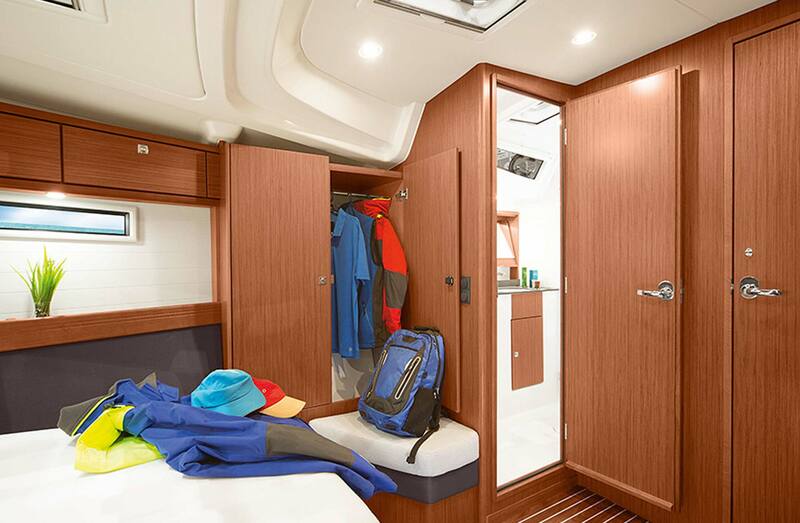 The full crew capacity amounts to 12, which could be accommodated in different interior options – from three to five cabins. 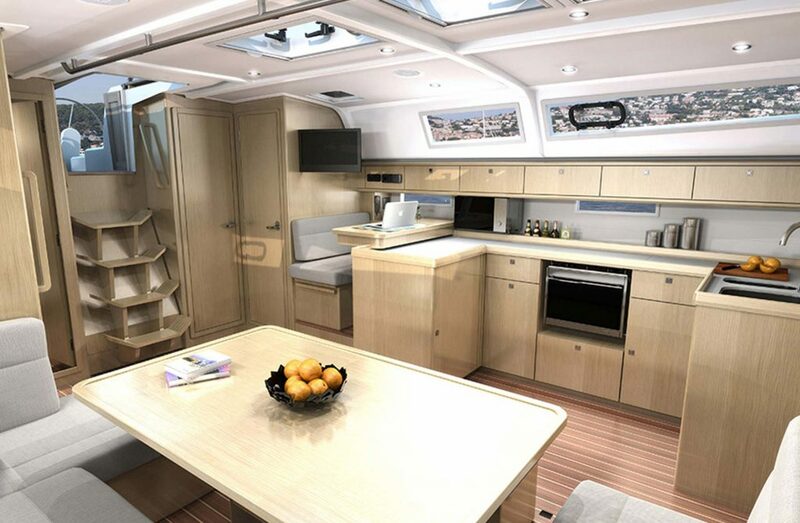 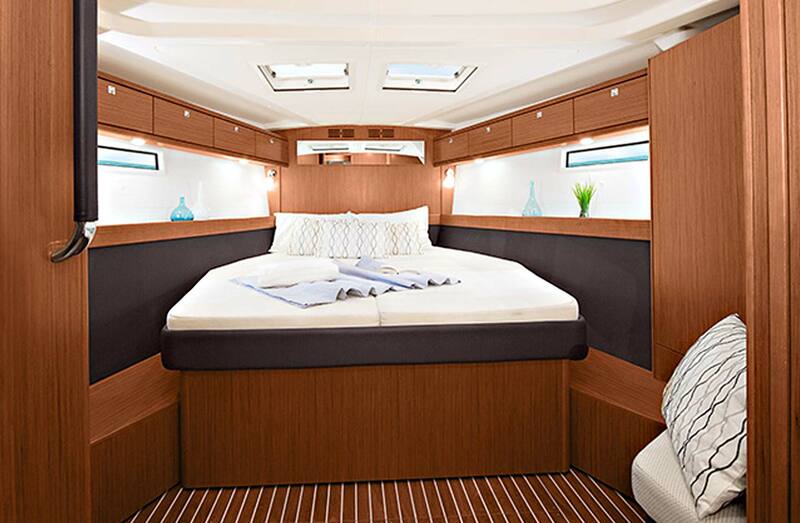 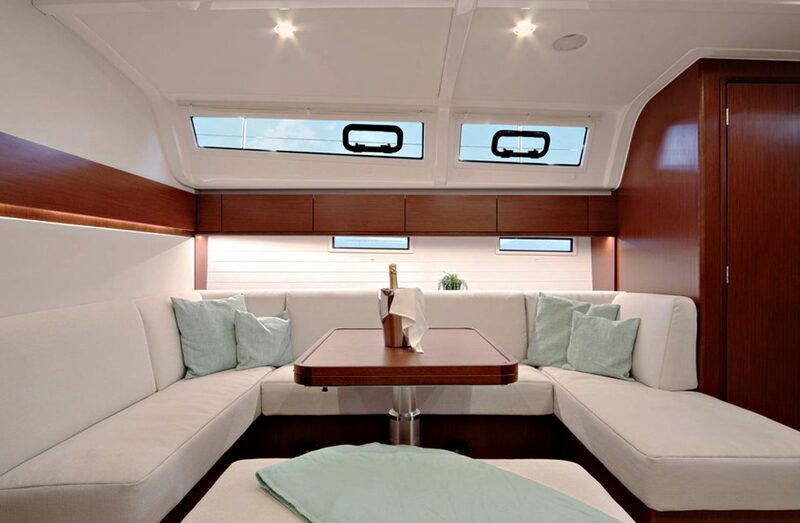 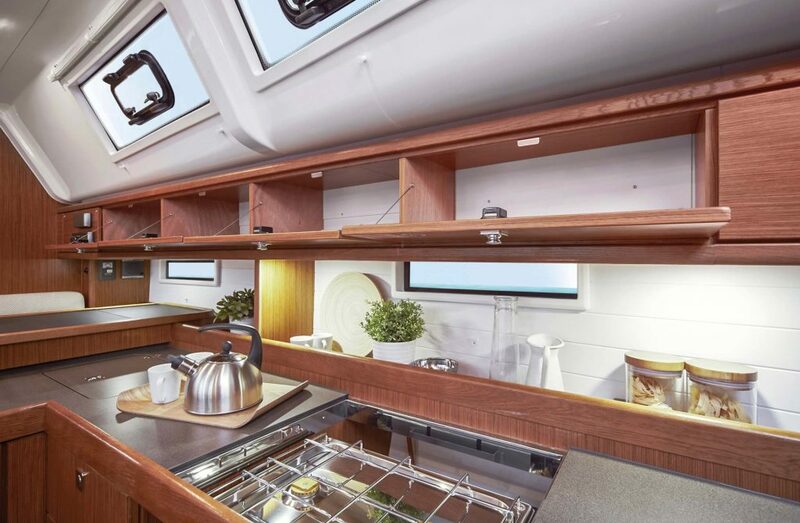 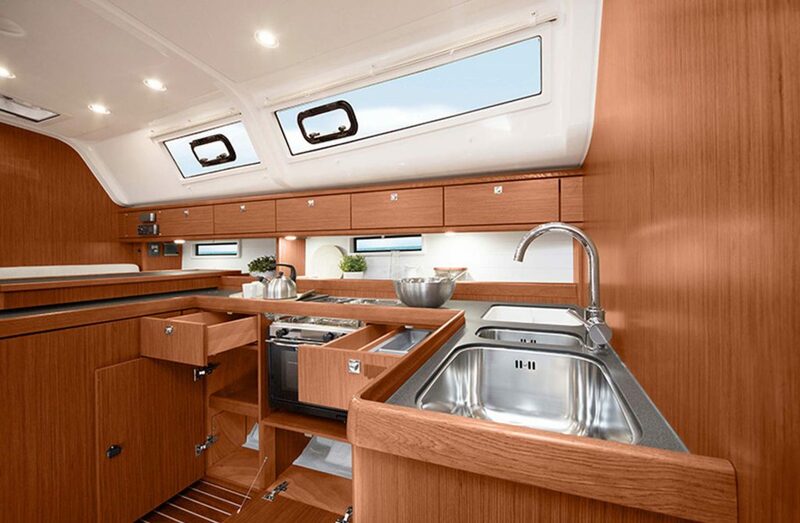 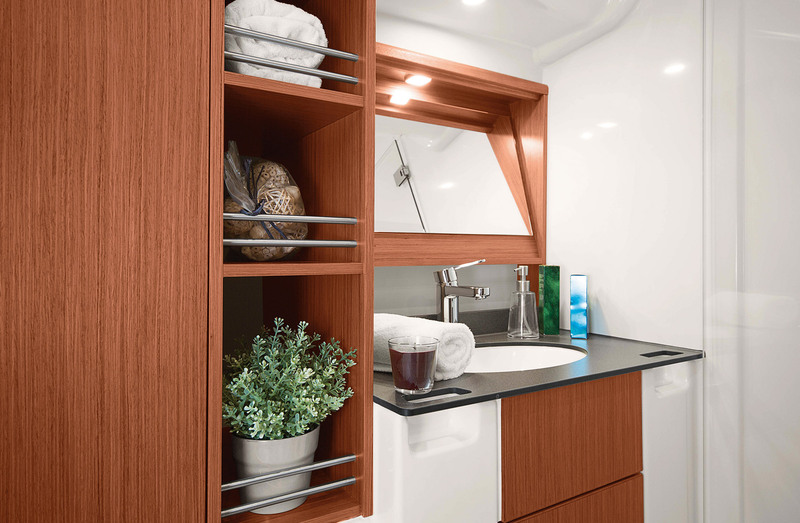 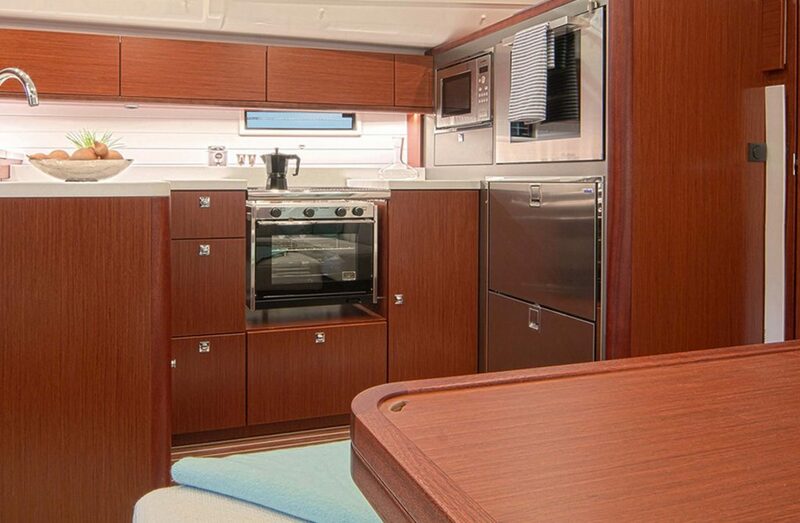 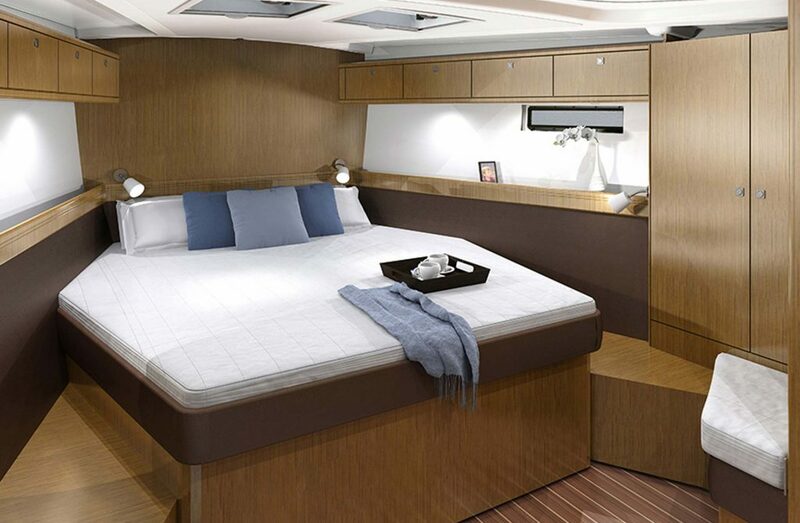 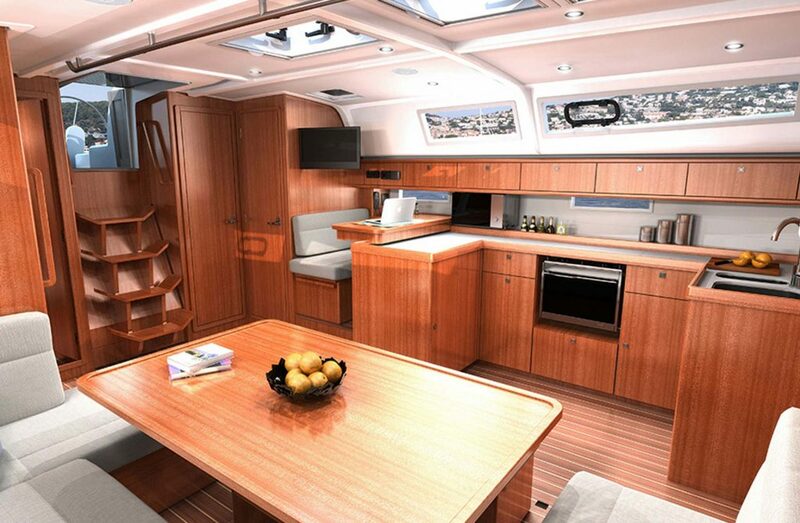 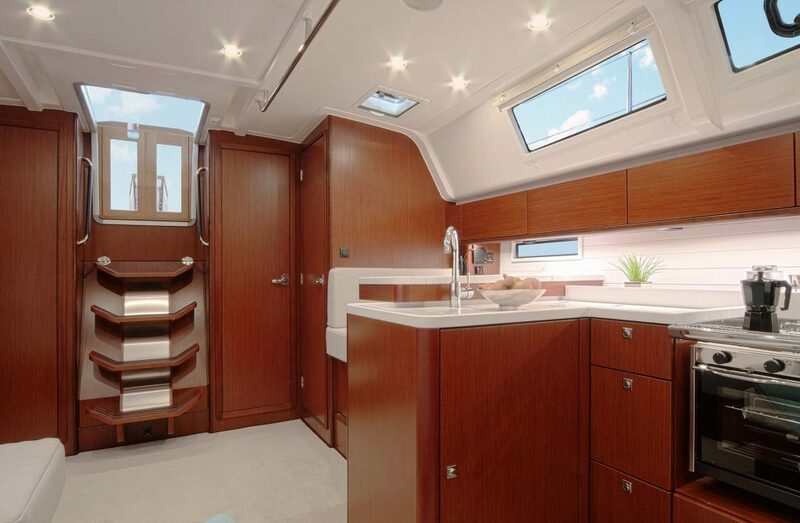 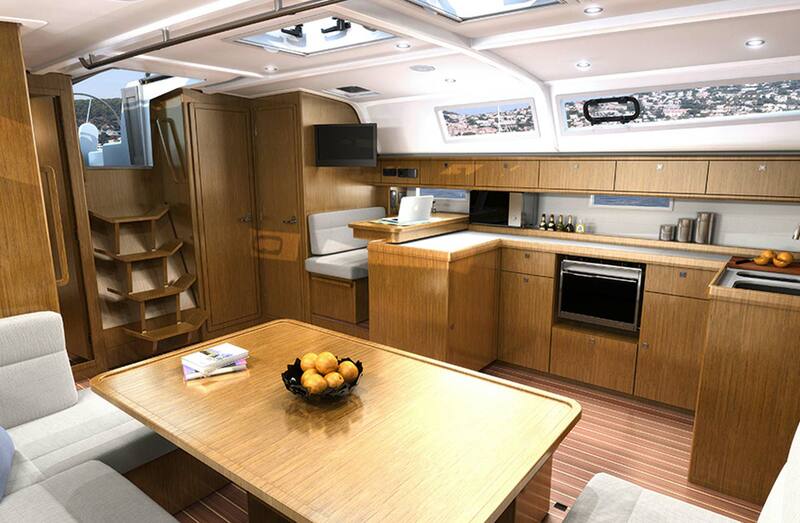 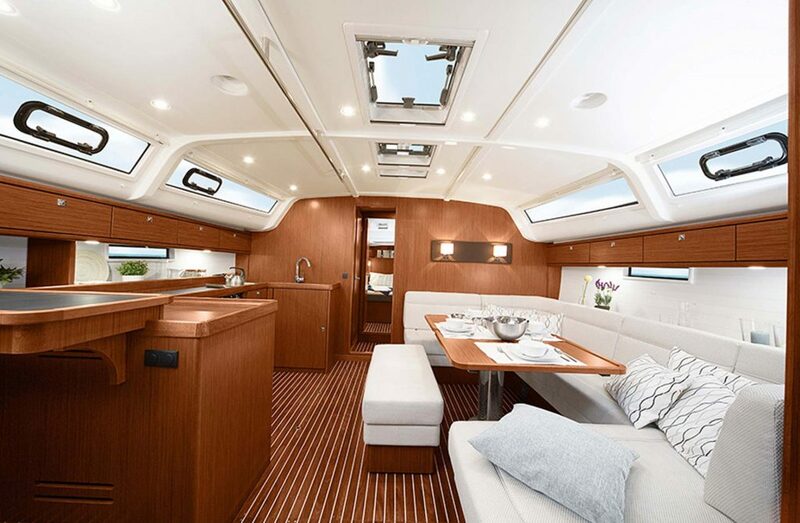 The interior design emphasizes comfort and spaciousness, and the new style version features a redesign port galley, with a U shape format and a a large fiddled workspace outboard and aft, and a wall of stainless steel forward that contains a huge fridge and freezer, and the choice of a wine cooler or a dishwasher, with the microwave outboard. 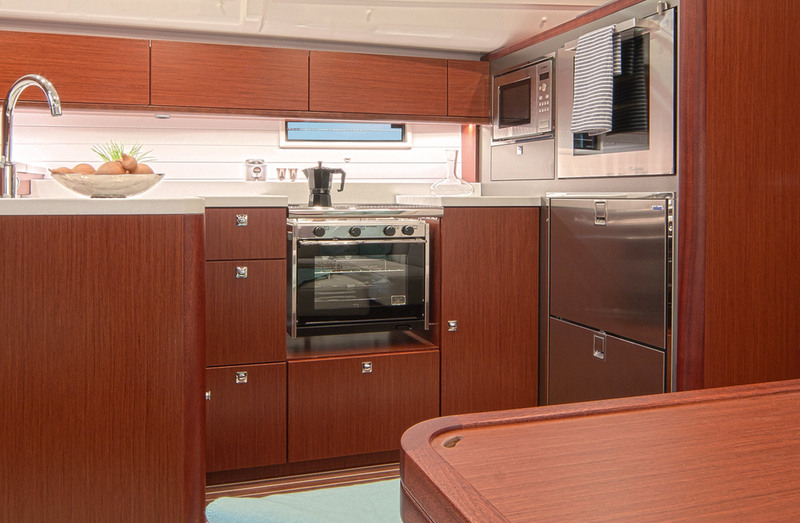 There is plenty off storage space on the Cruiser 51pantry. 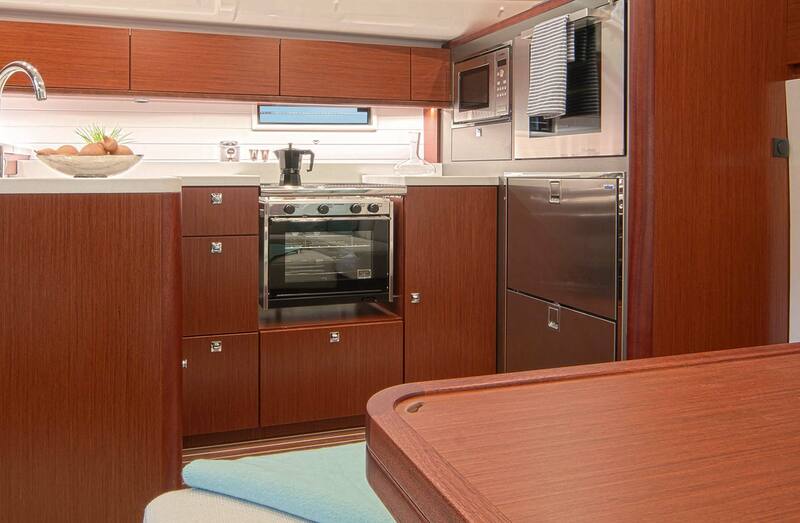 The new re-design kitchen has space for two refrigerators, one ice-maker, a microwave and a wine cooler. 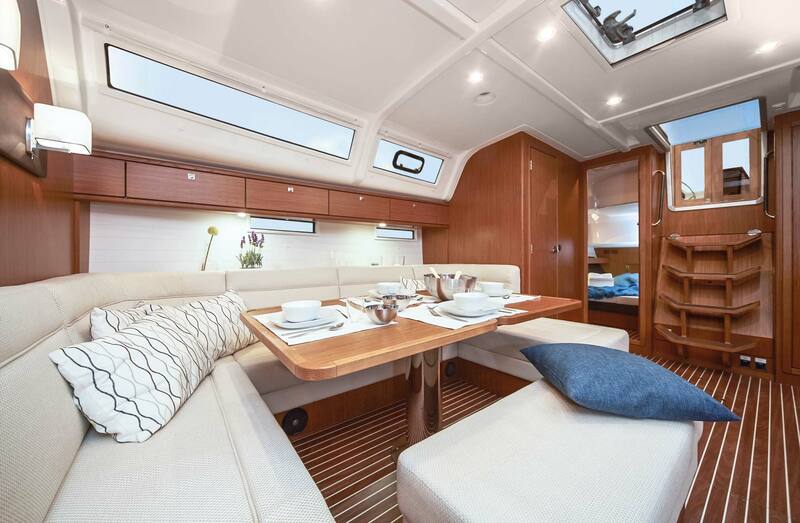 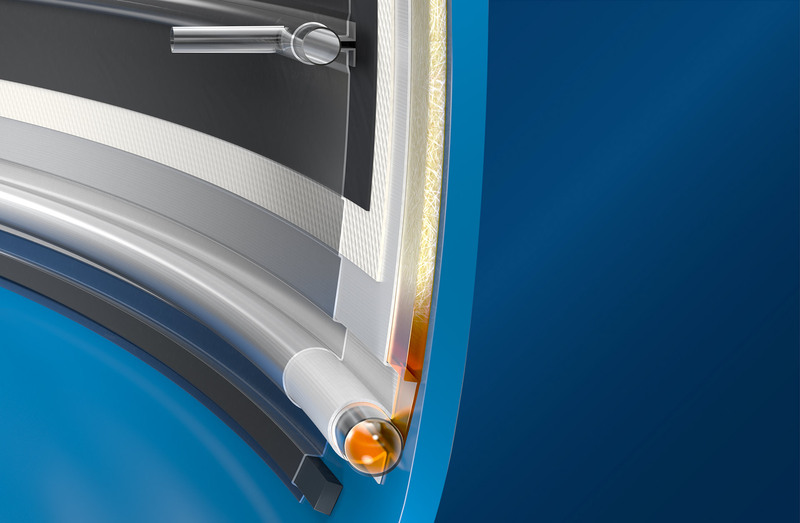 Another click and you will learn more about what makes the BAVARIA Cruiser 51 so unique.